Why Did I Listen To Ashley’s War? Ashley’s War: The Untold Story of a Team of Women Soldiers on the Special Ops Battlefield by Gayle Tzemach Lemmon really appealed to me because it has such a strong focus on the role of women in the US military. I had not heard of the cultural support teams, but wow, these women are amazing. Plus, combine that with the fact that the audiobook is narrated by Kathe Mazur who has a track history of solid non-fiction narration. Also? I really enjoyed reading The Dressmaker of Khair Khana. I just knew that I had to read this book either physically or via audio. So, Ashley’s War by Gayle Tzemach Lemmon is about the cultural support teams which basically placed women alongside elite male forces in Afghanistan. You see, prior to this, the military was not getting the full picture and information that they needed as they could not communicate with the women of Afghanistan. Thus, getting females out in the field in Afghanistan was a big deal. This book follows a number of different women who were part of the first cultural support teams and tells their story — including the story of Ashley White. She was the first cultural support team member killed in action. She’s also the first to be memorialized on the Army Wall Of Honor along with the Army Rangers who were with her. How Did I Like Ashley’s War? 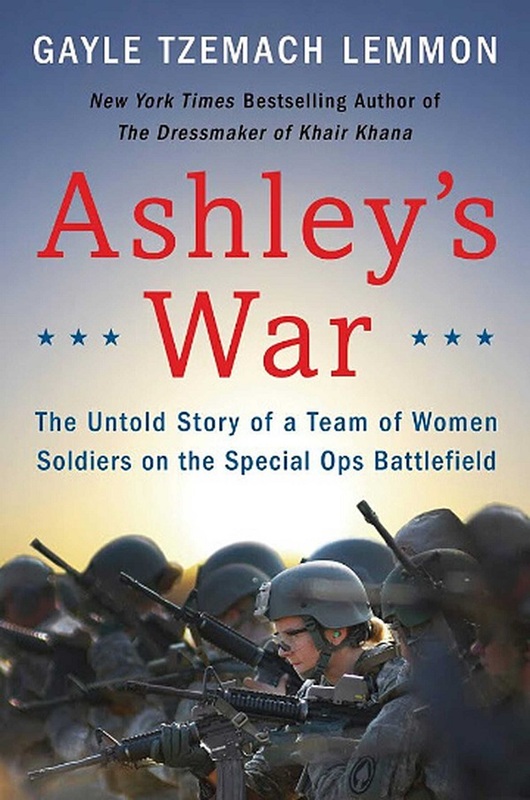 I really loved reading Ashley’s War: The Untold Story of a Team of Women Soldiers on the Special Ops Battlefield. Seriously, I do not read or listen to enough non-fiction. And this was one of those books that just made me really curious. It reads like narrative non-fiction. The story of these courageous women is to be commended. I mean, the service members of the military are very important to me. Obviously look at who I’m married to. I have had female members of my family serve as well. I hear a lot about male stories but not so much the women, so I just felt this was so important. After reading, I could not stop going recommending this book. It is kind of strange, however, that it has taken me so long to write this review. As I mentioned before, the audiobook is narrated by Kathe Mazur. It is 10 hours and 6 minutes long. ALSO YAY IT IS ON HOOPLA. I listened to the audiobook at 1.5x speed as I always do. I have to say that if you’re hesitant to try non-fiction, audiobooks are the way to go. This is one audiobook that is definitely not to be missed out on. It’s well narrated. It’s interested. The production values are top notch. Spend an audible credit or a Hoopla monthly borrow on this book, it is WORTH YOUR TIME.